Processed Honey is a sweet food made by bees using nectar from flowers. It has attractive chemical properties for baking and a distinctive flavor that leads some people to prefer it over sugar and other sweeteners. It also has a role in religion and symbolism. 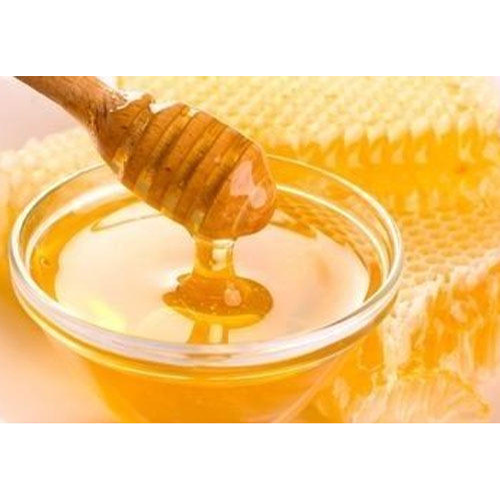 Flavours of honey vary based on the nectar source, and various types and grades of honey are available. Established in the year 1952, we, "Phondaghat Pharmacy", are one of the well-reckoned Manufacturers of Ayurvedic Products as well as Industrial Oils and Grains & Serials. The detailed array of our products includes Natural Honey, Rose Water, Rose Gulkand, Audumber Jal, Bee's Wax, Grains & Cereals, Apricot Oil, Cashew Nut Shell Liquid Oil, Rose Oil, Wax, Apple Juice, Karela Juice, Amla Juice, Cardanol Industrial Oil, Amla Murabba and Bel Murabba. We process our range of products by making use of pure quality, natural ingredients to ensure maximum effectiveness with no side-effects. Our sophisticated infrastructure with a well adept team is capable of delivering premium quality products to our global clientele. Our range of ayurvedic products offers effective solutions to a cough, stomach aches, gastritis, acidity, constipation and other disorders. The range also has products that can cure hair loss as well as increase the immunity to diseases. Leveraging our more than four decades of domain expertise, we intend to offer the best available range of ayurvedic products to our dedicated clientele. Further, our transparent deals, customization options, easy payment modes have helped us etch a line of faith amongst our clients, which has helped us to sustain through years and lead the domain. We are Bulk Suppliers and Manufactures for Ayurvedic & Herbal Industry.